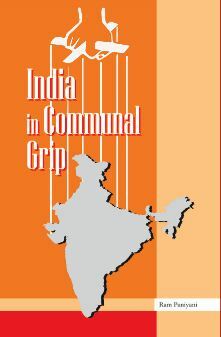 Written by Ram Puniyani, India in Communal Grip deals with the events that occurred in the run-up to the 2014 elections and the pressing issues and crises that followed the coming of the Modi-led BJP government. From promoting sectarianism, the plight of religious minorities, to misrepresenting history and science, Puniyani tracks the ways the values of the Indian Constitution and the Indian ethos are being undermined by the government. The following are excerpts from the chapter, "Agenda in Education: Science". Education has been the major area of work for RSS all through. Since it has a view of Nationalism which is opposed to the concept of Indian Nationalism, it already had made lot of efforts to promote its views through Shakhas, through Sarswati Shishu Mandirs and through Ekal Schools. 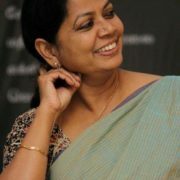 It has set up organizations to influence the policies in the field of education like Vidya Bharati. It has also started putting its followers in the top positions in Universities and major research institutes of the country. The previous BJP led NDA regime had already started the process of saffronization by changing the school books and by introducing courses like Paurohitya (priest craft) and Karmakand (rituals).2 The attempt to bring in their viewpoint on ancient, medieval and modern history have been intensified during last few years (from 2014) with BJP being in the seat of power. RSS leaders have been interacting with MHRD ministry to overall change the education system. One can say that the gradual changes in education and forthcoming education policy by BJP is aimed to bringing it in tune with globalization, privatization along with Hindutva agenda of Manuwad. The type of education being introduced aims to change the thinking pattern of the coming generations. The goal is to instill a pattern in consonance with the Brahminical norms, to promote orthodox medieval mind set and to undermine the scientific temper. Now in a recent meeting their leaders are saying that the past governments have written history and other subjects the way they wanted. It was their history. Now it's time to teach genuine history and take the education system in the right direction. Their aim is to introduce “Project Bhartiyakaran” in education. Similar distortions in medieval period have been made part of the curriculum. Now it is being said that the Qutub Minar was built by emperor Samudragupta and its real name was Vishnu Stambha. At another level, the battles for power between Shivaji and Afzal Khan, the battle between Akbar and Maharana Pratap, Guru Govind Singh and Aurangzeb, are being given a religious color. The syncretic traditions, the core of spirit of India, are being sidelined and sectarianism is at the forefront in this version of history. These changes have come under scholarly criticism from the professional, progressive, secular historians. Even earlier when previous NDA regime made similar changes in books, the term ‘Saffronisation of education’ for this presentation of history was used. Now this process is being done very blatantly. This ideological understanding of RSS, that all the kings who fought against Muslim rulers are Hindu nationalists. It’s a total distortion of understanding of history as kings did not fight for religion; their fights were for power and wealth. And kings of same religion also had running battles with each other. It seems RSS is out to create not just history but a whole knowledge system running parallel to its worldview of sectarian nationalism. The Modi administration’s intervention in the field of culture and education has began right away. 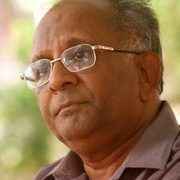 Prof Sudarshan Rao has been appointed as the Chair of ICHR; Prof Rao upholds the virtues of caste system and points out that there were no complaints against this system.5 Prof. Rao’s central concern is to establish the historicity of epics like Ramayan and Mahabharat. Rao is also president of the “Akhil Bharatiya Itihas Sankalan Yojana” (ABISY), something which is close to the agenda of BJP and RSS. 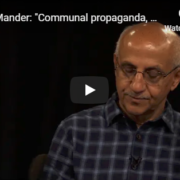 On a totally different wavelength RSS combine, who are working for the goal of Hindu Rashtra, has set up Sarswati Shishu Mandirs, which along with other institutions set up by this combine are schools propagating the World view of Hindu nationalism. They have been making news off and on for the content of their curriculum.6 The demonization of Muslim kings, glorification of Hindu kings, spread of Islam by sword, the conspiracy of Christian missionaries, the unsuitability of secularism for our country, the folly of Gandhi-Nehru in imposing western secularism on India are the regular part of the syllabus of these schools. Additionally caste gender-biases and glorification of nationalism of Hitler and Mussolini are the ground on which these children are raised.7 It is this combination which makes the students of these schools to look at Muslim and Christians differently. It is due to this that Gandhi and Nehru are looked down by the products of these schools. Their curriculum distorts the history to create dislike for religious minorities and also, undermines rational thinking and scientific temper and promotes the mythology of ‘We have been the World teachers, equipped with all the wisdom and scientific achievements like plastic surgery, aviation science or stem cell technology.’ These notions are being made to seep in the society very subtly and deeply; adding to the foundation of sectarianism which have be part of RSS propaganda.8 It is not a religious education so to say; it is motivated by the political agenda of sectarian nationalism. What is Mr. Modi’s understanding of science and human body, which he spelt while talking at the inauguration of a hospital in Mumbai? It very frightening to imagine that head of the Government, which is going to make the policies in the area of science, has distorted understanding of science, mythology and human body in particular. And these are the policies which have already started influencing and shaping our education system and policies in matters of science teaching and research. While some can believe in Lord Ram’s travel in Pushpak Viman or someone else travelling on a flying mat, if those in power believe in this; the danger of public money and state funds being diverted for ‘research’ in these fantasies is very frightening. One recalls that during Zia Ul Haq’s regime in one of the conferences on how to solve the power shortage, encouraged by the atmosphere where it is supposed that all knowledge is already there in our holy books, one ‘scientist’ presented a ‘research paper’ which argued that jinns are an infinite source of energy and that should be harnessed to solve the power crisis! Mercifully, one hopes that state did not allocate funds for such a research!10There cannot be anything like a Hindu science or a Muslim science! While individuals can harbor the reality of mythology, the matters will be difficult if the Chief of state and ruling party leaders have belief in these fictions being part of History. That will be a big set back to the progress of scientific, rational thinking and enterprise. This combination of mythology, religion and politics will make the matters worse. Many competing mythologies will be struggling with each other for their acceptance and encouraged by such utterances the power of jinn’s and plastic surgery for Lord Ganesha will have field day. 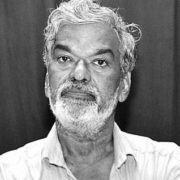 Ram Puniyani, former Professor at IIT Mumbai, is a writer and activist, working on issues related to the preservation of democratic and plural values. He has been focusing on the threats of sectarian politics in the name of religion and the threat posed by imperialist aggression due to the demand for oil. 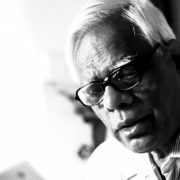 He is a recipient of the Indira Gandhi National Integration Award (2006), National Communal Harmony Award (2007) and Mukundan C. Menon Human Rights Award 2015. These are excerpts from India in Communal Grip written by Ram Puniyani and published by Seethai Pathipagam. 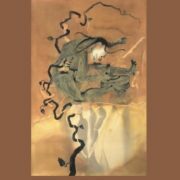 Republished here with permission from the author.